How does the HHS help the disabled in Texas and what happened to the DADS? 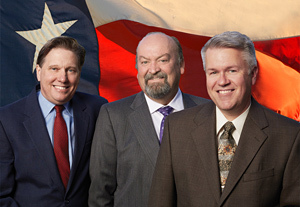 In September of this year the Texas Department of Health and Human Services merged with the Texas Department of Aging and Disability Services (DADS) in order to streamline services and create “an organization that is more responsive to the people of Texas.” The combined agencies are now known as the Texas Department of Health and Human Services (HHS) and the previous Texas Department of Aging and Disability Services (DADS) has been abolished. 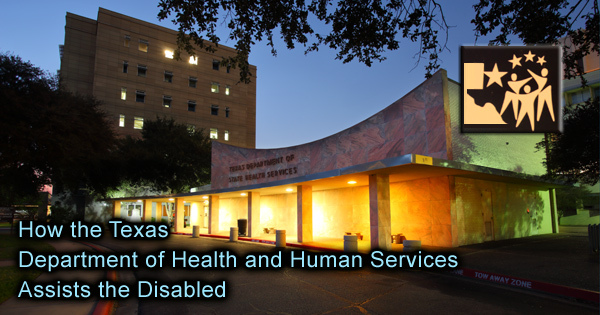 The HHS provides programs for the Texas population that is disabled including services such as rehabilitation, medical care, and finding employment. What does this mean for the disabled person? The HHS provides access to a wide range of services for the Texas population that is disabled which it defines as someone who is limited in one or more major life activity such as vision, hearing, walking and moving, or cognitive abilities. Men, women, and children who are disabled are eligible for services that include rehabilitation, medical care and medical equipment, caregivers, and finding employment. There are also programs to assist family members who act as caregivers. Each program has its own eligibility requirements and restrictions, but most require that you be a U.S. citizen or legal resident of Texas, that you have limited income and assets, and that you show a need for services. Services are paid for by federal and state funds and is usually a combination of Medicaid, Medicare and Social Security disability benefits. Helping the disabled live independently in their own home. Determining eligibility for Social Security Income. Providing healthcare services to those who are disabled and are employed. Helping the disabled prepare for and obtain employment. As a result of the two agencies merging, DADS facilities such as state supported living centers and DSHS state hospitals consolidated. Independent Living Services (IL) were outsourced by HHS to nonprofit private organizations throughout Texas. Referred to as Centers for Independent Living or CIDs, these centers offer information and referral services as well as training in daily skills, such as food preparation. They also provide counseling and training to help a person adjust to their disability; for example, helping a blind or vision impaired person learn to navigate their surroundings. Find increased access to transportation. A list of Centers for Independent Living is posted on the HHS website, but local centers can also be found at www.reachcils.org/resources/texas-centers. Additionally, HHS has created the Comprehensive Rehabilitation Services (CRS) program to help people with traumatic brain injury (TBI), traumatic spinal cord injury (TSCI), or both, function independently at home and in the community. This type of traumatic injury is described by HHS as “one that is the result of an external physical force” such as an automobile accident, fall, or sports injury. The TBI or TSCI must have been caused by physical force and it must affect your mobility, ability to communicate, and functionality in personal care. You must be a U.S. citizen or lawful permanent resident of Texas. You must be willing and medically able to participate in rehabilitation. Inpatient comprehensive medical services – provided in a hospital setting to address conditions that require 24-hour nursing care. Post-acute rehabilitation services – a program that addresses functional and cognitive skills, including behavior management. Post-acute spinal cord injury services – addresses functional skills related to daily living. The Comprehensive Rehabilitation Services program pays for all rehabilitation services after the participant exhausts their personal medical benefits such as Medicare or Medicaid. To receive CRS, you must call the HHS Office of the Ombudsman at 877-787-8999. The SSA and its growing backlog of disability SSDI hearings causing long wait times.